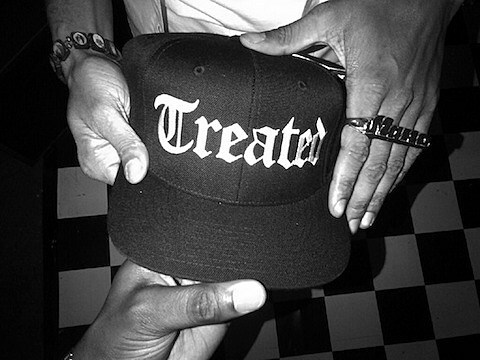 Million Dollar Mano, Watch the Throne‘s tour DJ, has been at work on his new project Treated Crew for a little bit over a month now. They’ve been doing a weekly track share, dubbed #TreatedTuesday, and the fifth installment “N-Words and B-Words” has just arrived. A rotating group of members – Gzus Piece, Caleb James, Chance The Rapper, Mic Terror, Nick Jr., Sulaiman, Jon James, Hollywood Holt, Lee Majorz, Naledge – have contributed to each weekly track, which has kept things fresh and interesting. Stream all five songs at the bottom of this post. Stay tuned for info on a Treated Crew full-length. Tonight, as part of Digital Freshness happening at Reggie’s, you can catch TC-members Caleb James and Chance The Rapper live. Tickets will be available at the door.